Just in time for planting....... 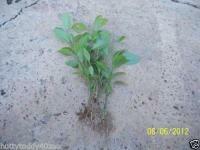 I happen to have 20 Black Willow (salix nigra) tree cuttings up for your bidding enjoyment. 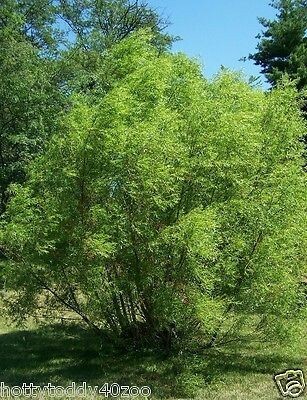 The willow cuttings will look great with any landscape or yard and will take off fast with their growth once you have transplanted them. I trim them and bring them in our garden shed to start new roots inside vases and buckets. During this process, the cuttings will shed their larger leaves and look bare-leaved, with the new, fresh leaves growing back out within days. You can plant them immediately or simply just soak them in water for a day or 2 (to ensure even more tap root growth ) and then plant them. You can also add mulch, hay, or pine straw at the bases of the cuttings to help retain moisture. They require very little care and I would recommend watering them every other day until the new green leaves emerge. These trees can be planted in any area where you would like to prevent erosion or in areas where water stands for long periods of time. They can also be planted near ponds or anywhere you would like for a shade tree to be. 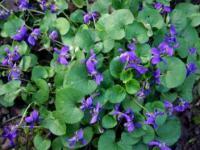 They are very fast growing and will be sure to add shade and beauty to your yard or landscape for years to come. 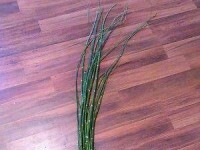 You will be receiving 20 Black Willow tree cuttings. These cuttings will grow very well in USDA Zones 3-9. They will also grow well in areas where water does not stand and have been able to survive periods of drought. They adapt very well to the environment in which they are planted. I have dealt with cuttings, rootings, seeds, bulbs, and all sorts or plants, trees, and flowers for 20 years now, and most recently worked with pecan and fig seedlings. Even if you have never gardened before or have always wanted to grow plants but were too afraid to try, you can not go wrong with these lovely cuttings. I am always more than happy to help assist you with your cuttings queries. These cuttings will be carefully and safely packaged to survive during transit, and shipped out to you via USPS Priority mail, to ensure that the cuttings will arrive to you fresh, healthy, and alive. 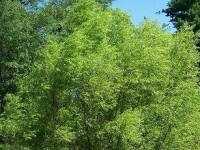 REMEMBER: You will be getting 20 Black Willow Tree cuttings with this listing!! These are sure to make any garden, landscape or yard look amazing. A must-have for any serious gardener or even a great plant for any beginner gardener. A nice last-minute gift idea for the special gardener in your life. Don't let this gem pass you by.... Thanks for viewing our listings and May God bless!! Please keep checking out our listings, as there will be more to come in the weeks ahead. HAPPY e-BAYING! !